Klassik Heute Recommendation: 10/10 Artistic quality, Sound quality, General impression. 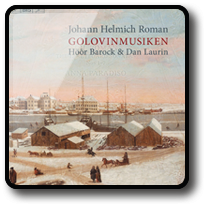 “This is, I think, a first release from Höör Barock, the orchestra founded in 2012 to perform at the festival in the village that bears its name in the southernmost part of Sweden. 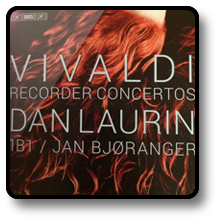 As such it is essentially a showcase, both of their own talents and of their fruitful relationship with recorder virtuoso Dan Laurin, and very effective it is, considering their particular strengths. ‘Individual voices are given ample space’, claims their group biography, and for once you can hear precisely what they mean. How much better for their natural expressive exuberance and freedom to be let loose in a mixed, presumably concert-derived programme rather than some sober one-composer set! … there is an infectiousness to the interpretative energy of the music-making. The rhetorical daring and overspilling ornamentation are irresistible too, and must have made those Swedish summer evenings rock. 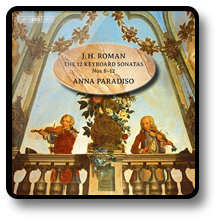 With soloist Anna Paradiso they make the finale of Bach’s F major Harpsichord Concerto, arranged from the Fourth Brandenburg and already one of its composer’s most coursingly exciting, more scintillating than ever. The young period band Höör Barock, based in the south of Sweden, has chosen a colourful programme for its début disc. With recorder virtuoso Dan Laurin at the helm, the twelve musicians steer a course through Telemann’s celebrated Wassermusik (also known as Hamburger Ebb’ und Fluth) with its sea gods and goddesses dancing bourrées and gavottes before a rowdy crowd of seamen closes the suite with an energetic Canarie. The centre piece of the programme is Bach’s Harpsichord Concerto in F major, the composer’s arrangement of his own Brandenburg Concerto No. 4. 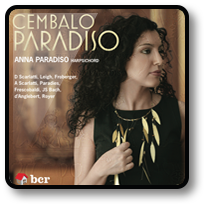 Soloist here is Anna Paradiso, who also plays continuo in the other works of the disc. Bach is flanked on either side by two of the Op. 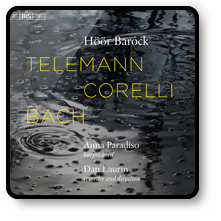 6 concerti grossi by another Baroque heavyweight, Arcangelo Corelli. His Concerto No. 4 and No. 8 – the much-loved Christmas Concerto – appear here in a slightly unusual guise. They are usually performed by strings alone, but inspired by recent research, Dan Laurin and his recorder-playing colleague Emelie Roos here take on the solo parts, and the tutti ensemble is joined by oboes and bassoon – while a baroque harp adds to the angelic atmosphere of the closing Christmas Pastorale of Concerto No. 8. 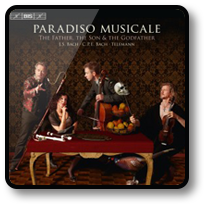 The disc closes as it began, with Telemann, whose Concerto in B flat major for winds, strings and basso continuo is a perfect example of the composer’s art, involving playful juggling of different instrumental combinations and musical ideas. 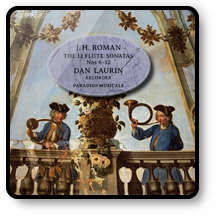 “Raymond Tuttle reviewed the first volume of this complete traversal of the 12 Flute Sonatas by Swedish composer Johan Helmich Roman in Fanfare 39:1 (September/October 2015). He cited the music’s “intrinsic interest” and “attractiveness,” and the excellent playing of Dan Laurin and the continuo ensemble. Now here are the last seven of the sonatas, equally interesting and attractive, fitted onto one SACD of over 80 minutes. 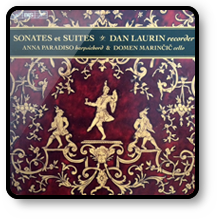 Laurin is uncommonly expressive in this music—actually, he is all the time—treating these sonatas as dance music in a suite, which is usually what they are. The result is revelatory, as it was in the last volume. The revelation comes to me because my prior experience with these sonatas for transverse flute, violone, and harpsichord was with the 2008 Naxos release with Verena Fischer on baroque flute. I liked it when I heard it, but I have to say that when I went back to it after hearing Dan Laurin and company, it seemed rather stodgy in comparison. Laurin makes the solo line come alive in a way that Fischer’s perfectly respectable performances simply don’t. It isn’t the use of baroque guitar or theorbo that makes the difference, though the addition of that color in certain movements, notably the Piva of the tenth sonata, is characteristic of the imagination with which these performances are approached. It comes down to finding the magic in the notes instead of simply playing them well. I also listened to Jed Wentz’s recordings (Brilliant), using traverse flute as well, based on Bertil van Boer’s recommendation in 39:6. He and his ensemble of period instrument artists are very good interpreters as well. Van Boer goes into some detail on the provenance of these pieces, so I’ll refer the reader to his review for that. I’ll just take one exception to his assessment of Wentz’s playing; he says, “His tone is clear and the intonation precise.” The former is true, the latter occasionally is not. In fact, his tendency to drift flat on held-note phrase-offs made it hard for me to appreciate the many good things about his playing. It’s a major issue for me, perhaps because players like Fischer, and Laurin on recorder, correct this flattening on diminuendos. The comparison with Wentz also revealed some interesting differences in the readings of the works, as where Laurin takes the Larghetto movement in the seventh sonata in 12 while Wentz takes the same in four. 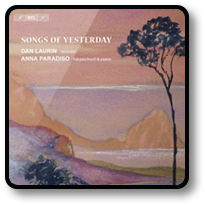 The published score is in 12/8, but while it is odd to have three consecutive slow movements, Laurin and company make the more leisurely journey just as interesting: maybe more so. He actually takes about a third of his personal note discussing this decision. 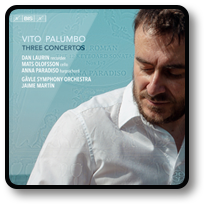 Another contrast, again in tempo, occurs in the ninth sonata where Laurin takes the vivace second movement at a lively moderato so that the many grace figurations are clearly articulated. It is indeed vivacious. Wentz takes the same movement at an allegro, but he must add a slight hesitation for many of the figures, so that the effect is somewhat clumsy. Further, the concluding minuet is rather fast for that courtly dance, as are several other concluding dances where Wentz seems more concerned with a swift conclusion than a characteristic tempo. Laurin is unerringly stylish in all this. Equality. Anna Paradiso knows how to use black and white in an excellent way. “Even though Johan Helmich Roman (1694-1758) is acknowledged as the father of Swedish music, his work is scarcely known and even less appreciated. 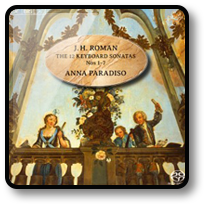 He is generally thought of as an efficient composer who wrote nice but uninspired scores; as Anna Paradiso states in the liner notes, what she heard even from Swedes about his sonatas was that “some of them were nice but many others were boring.” After looking at his scores for these works and others, including one (the Sonata BeRI 224) in his own hand, and listening to the performances by pianist Oskar Ekberg (the first movement of Sonata BeRI 225, which opens Paradiso’s disc, may be heard on YouTube), I came to a similar conclusion. The music was nice but not exceptional. There is, indeed, no question that in her hands the music of Roman comes to life. Each movement is exciting and unpredictable. I tend to agree with her regarding the performance style of these works since, as we know, composers of that time did not always write down everything they intended. The matter of phrasing, articulation, and ornaments was left up to the individual interpreter, and the style of the time is on Paradiso’s side. It is difficult to pick out particular favorites, but for me the Sonata No. 5 in g minor, BeRI 229, was one such highlight. She pounces on the music like a cat taunting its prey, and the cat-and-mouse games she plays with articulation, phrasing, and rhythm are a feast for the ears. 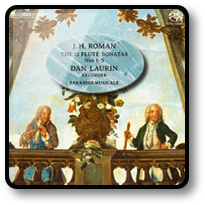 “… The SACD sound is so good that you can hear Dan Laurin’s breathing and a faint jingle from the harpsichord … The disc forms part of a series of recordings of Roman’s music by the same musicians and I look forward to hearing their performances of the remaining seven sonatas in the set.” (Early Music Review). 5 stars in all cat. : performance, recorded sound, booklet notes, overall presentation. Music by: Frescobaldi, Froberger, A. and D. Scarlatti, Royer, Bach, Leigh, d’Anglebert. Works composed for Carl Dolmetsch’s Wigmore Hall Concerts 1939-65 York Bowen, Edmund Rubbra, Cyril Scott, Herbert Murrill, Walter Leigh, Lennox Berkeley.